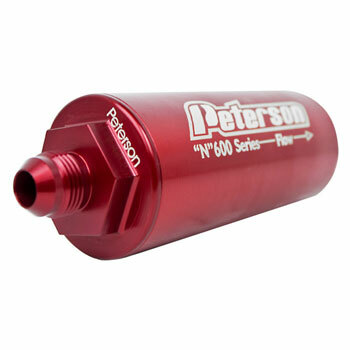 Peterson's fuel filters feature cleanable pleated stainless steel screens and hard coat anodizing for compatibility with all fuels. Tons of flow capacity for even forced induction applications. Proven in NASCAR Winston Cup, Busch, World of Outlaws and more.